Directed by Oren Moverman. With Michael Chernus, Taylor Rae Almonte, Steve Coogan, Charlie Plummer. 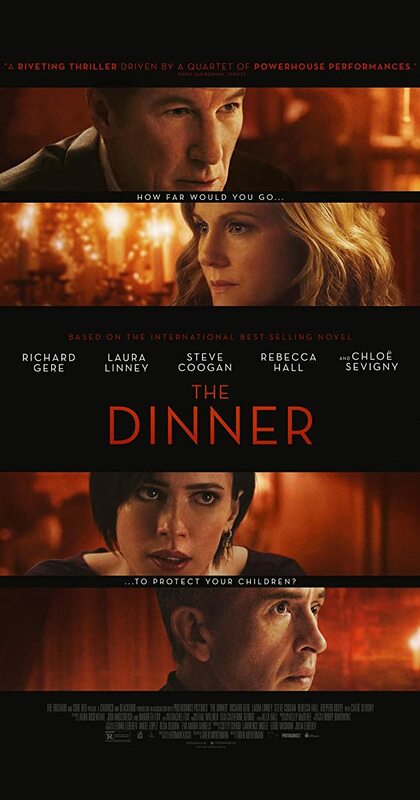 Two sets of wealthy parents meet for dinner to decide what to do about a crime their sons have committed.